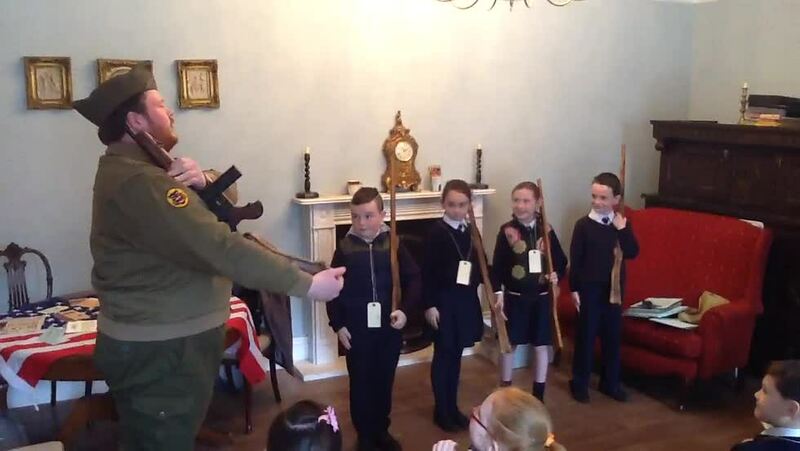 We visited the Palace Stables in Armagh to learn about World War 2. We got to become evacuees for the morning and visit an air raid shelter. We also met an American GI soldier who showed us how to crack secret codes.